Tenants are offered certain protections under Arizona’s landlord-tenant act. There may be times when a landlord is unhappy with the actions a tenant has taken, even if these actions are within a tenant’s legal right. In these cases, a landlord may try to retaliate against the tenant in an effort to get the tenant to move. Here are a tenant’s rights in Arizona after landlord retaliation. The tenant complains to a government agency about possible health and safety violations at the property. The tenant complains to the landlord about possible health and safety violations at the property. The tenant joins or organizes a tenants’ union. The tenant complains to a government agency regarding the wage-price stabilization act. In order for the tenant to claim an act of retaliation, the tenant’s action must have taken place no more than six months’ prior to the landlord’s supposed retaliatory act. The tenant must also provide evidence that they took such an action. This evidence must include the date on which the action took place. If the tenant has evidence of an action they have taken within six months, certain acts by the landlord will be presumed to be acts of retaliation. The exception to this rule would be if the tenant took the action after being served notice of lease termination by the landlord. In this case, the landlord’s action would not be considered an act of retaliation. Rather, the tenant’s action could be considered an act of retaliation due to being served the notice of termination. A landlord still has a legal right to evict a tenant if the tenant has done any of the following. In these cases, the landlord’s action would not be considered an act of retaliation. 1. “Lack of reasonable care” by the tenant, a member of the tenant’s household or a guest of the tenant caused the housing or building violation. 2. The tenant owes rent. The landlord, however, may still be liable for paying damages to the tenant. The tenant may be entitled to two times the actual damages or two times the monthly rent, whichever is greater. If the tenant elects to have the lease terminated, the tenant is still entitled to the return of their security deposit. 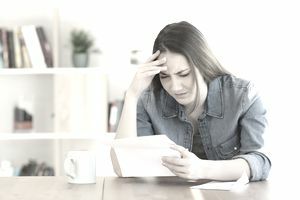 The landlord is still allowed to make lawful deductions from the security deposit, including for damage in excess of normal wear and tear the tenant has caused to the unit and for unpaid rent. For the complete text of the law governing landlord retaliation in Arizona, please consult Arizona Revised Statutes 33-1367 and 33-1381.